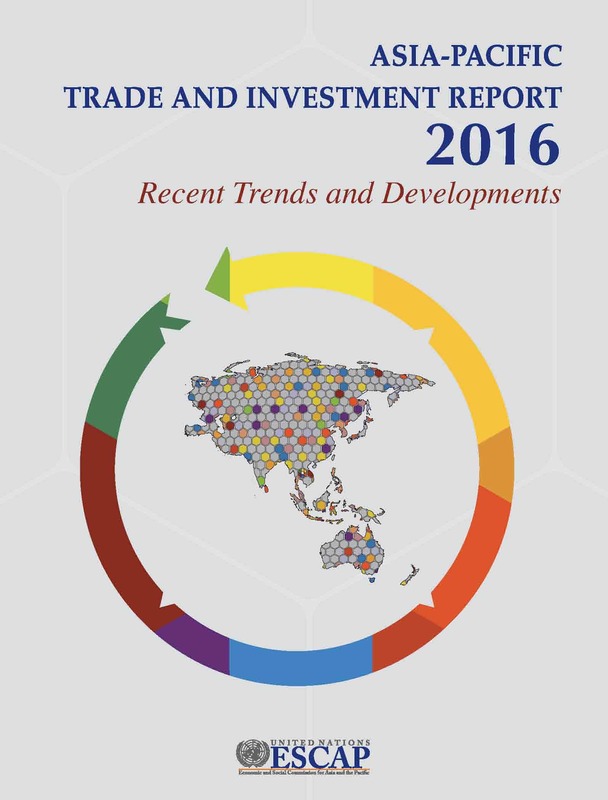 The Asia-Pacific Trade and Investment Report is a major annual publication of the Trade, Investment and Innovation Division of United Nations ESCAP. It aims to deepen understanding of trends and developments in trade and investment in the Asia-Pacific region; emerging issues in trade, investment and trade facilitation policies, and impacts of these policies on countries' abilities to meet the challenges of achieving inclusive and sustainable development. It offers innovative policy options to meet the challenges of achieving sustainable trade and investment. APTIR 2016 shows that 2015-2016 has been a worrying period for trade and investment in the Asia-Pacific region and worldwide, and there are few signs that the current economic and trade slowdown is simply a temporary phenomenon. Instead, this pattern may be the result of a change in the fundamental structure of world trade, which might lead to persistent trade stagnation. On the other hand, good progress was made, especially at the regional level, with furthering cross-border paperless trade as one of the approaches to deal with the upward pressure on the trade costs.. Accepting the rising importance of e-commerce as a new trade platform, there is opening for the possible changes in the focus of trade and investment policies in order to leverage the potential of e-commerce to support intraregional trade. The Report is aimed at policymakers as well as practitioners, experts, academia, business, international agencies and non-governmental organizations working or interested in these issues in the Asia-Pacific region. In addition to the main report, summary briefs are provided below for the Asia-Pacific subregions and for selected regional economies.